Sephora is one of my go-to places to purchase makeup, although they have many named brands. When buying makeup it can be hard to figure out what shades, what colours, and what companies are best for your skin. But, during the summer Sephora releases a kit with their multiple Summer essentials needed to survive the hot season. I love this bundle of goodies because it allows people to try new products without breaking the bank account. Bumble and Bumble Surf Spray > Is a salt water based product that mimics a fresh off the beach look. The Estée Edit Pore Vanishing Stick > An easy- glide on cream, used to blur the look of pores. Living Proof Restore Perfecting Spray > Must have leave in spray that makes dry damaged hair, look and feel healthier. Shiseido Urban Environment UV Protection Cream (SPF 40 for Face/Body) > A feather light cream that protects your face and body from environmental aggressors. Sol De Janeiro Brazilian Bum Bum Cream > An absorbing cream that helps tighten and smooth your skin. Tarte Brazilliance PLUS + Self Tanner > Self Tanner to help you get that bronzed glow as if you just walked off a Hawaiian beach. Tarte (Tarteguard 30) Moisturizing Sunscreen Lotion > a non-chemical sunscreen that will help protect your skin while still brightening and moisturizing it. Vita Liberata Body Blur instant HD skin Finish > for face and body, this cream helps blur any imperfections and brightens your skin for a ready finish. All of these products have been linked, although they are the same products the ones in the summer essentials bag will be smaller. If you want more information about the products, feel free to click the links and read more about them. This is such an interesting selection of products, I wish we had a Sephora in the UK bc they seem to have such cool stuff! Ooooohhh I haven’t tried a single one of these products! 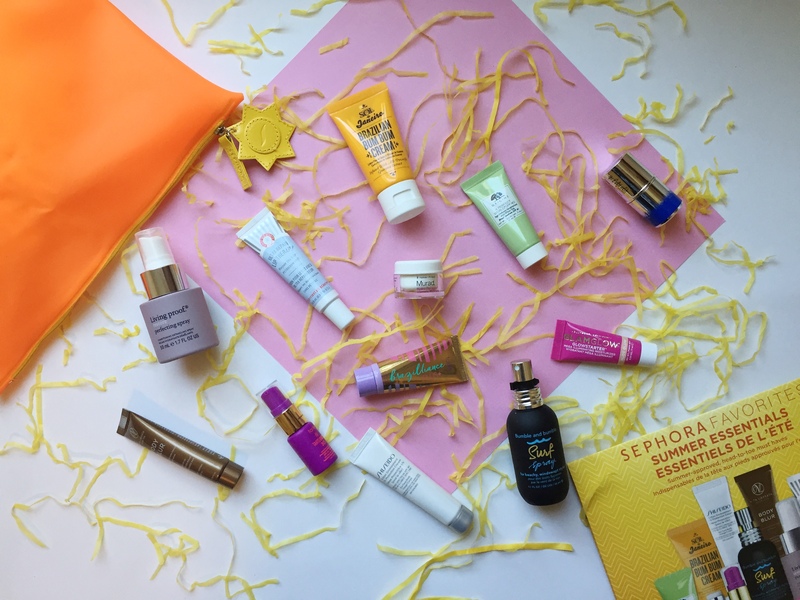 I love goodie bags, it’s such a great way to try new products! A great bag of goodies. Great article.